In 1965 Brian Wilson, the creative force behind the American surf group the Beach Boys, heard the Beatles Rubber Soul LP. He was blown away by the sound and creativity of the album, so he vowed to make a better one. The result was the landmark Beach Boys collection titled Pet Sounds. friendly rivalry between the groups. Fast forward now to India 1967, where the Beatles and Mike Love of the Beach Boys, along with a cadre of other celebrities went to study transcendental meditation. With so much time on their hands there was much collaboration among the musicians. It was Love who suggested the idea of creating a song like American rocker Chuck Berry’s 1959 Back In The USA but instead making the subject the USSR. Paul took on the challenge and fashioned a tongue in cheek beach boyish number that imitated the surf group's vocal sound, along with a story line that borrowed ideas from the Beach Boy hits, California Girls, and Surfin in The USA. 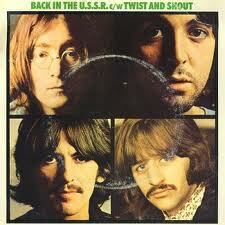 Back In The USSR is a Chuck Berry like rocker that is the opening song on the Beatles 1968 White Album. 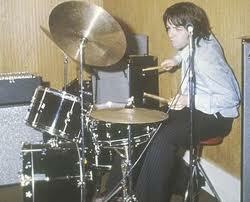 It features Paul on drums, because Ringo, feeling left out had briefly quit the group. Ringo describes his departure. During the recording of the White Album album the tensions that were building within the group were exposed. The result of many factors including financial stress, the solo maturation of each of the Beatles, and the anxiety of being somewhat rudderless as a result of the death of their manager Brian Epstein less than a year before. The White Album however was the biggest selling Beatles album with over 19 million sold to date. In 2003, it was ranked number 10 on Rolling Stone magazine's list of The 500 Greatest Albums of All Time. This is Susan Kreutzer for The Beatles Song By Song.